British, Living in France, GM highest ELO 2555 (in 2000), present ELO 2520-something. Still fairly active in tournament and league chess. Qualified from Bath 1987 Zonal for Szirak 1987 Interzonal. IM title awarded 1983, GM title awarded 1987. Played for England in Luzern 1985 and Dubai 1986. Next important tournament Hastings Premier 2002/2003! 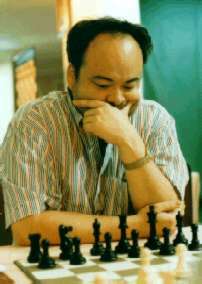 Written several chess books (concentrating on openings and endings) and a regular contributor to various magazines including New in Chess. Married to Christine Flear (née Leroy) Five times French Ladies Champion. Two Children James, 9, and Nathan, 3. JT is a GM that prefers thinking and writing about chess to actually getting his hands dirty at the board. His first solo book, the rather aggressively titled Improve Your Chess NOW, was well received by critics and short-listed for the British Chess Federation Book of the Year Award. The book attempted to revitalize chess training methods a bit, and get players to learn how to train themselves. Besides writing for various publications, he has been known to do quite a bit of training, especially in home base Norway. JT attracted some attention by acting as Jon Speelman's second in his successful candidates match against Nigel Short, as well as in less cheerful match results against Jan Timman and the same Short fellow in the next cycle. He refuses to take any credit for the first result, and would prefer not to get the blame for the others. 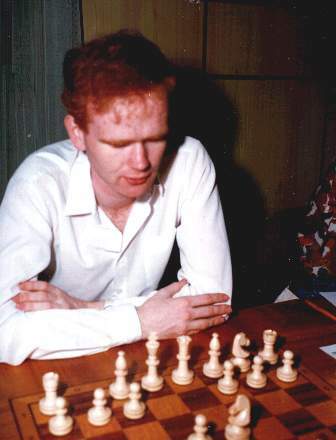 Successful outings at the actual chessboard include three Norwegian championships, and a startling share of first at the inaugural Nordic Grand Prix event, the powerful 1996 Reykjavik Open. Came out of retirement to do some sightseeing in Egypt last year and happened to win the 1998 Tanta International at the same time, which indicates he hasn't completely forgotten how the pieces move. He is currently chained to a keyboard and writing for various Internet projects. To learn more about Neil, go to his French Defence site.